Funk Carves Out A Groove At The Funk Music Hall Of Fame In Dayton, Ohio The Funk Music Hall of Fame and Exhibition Center honors genre greats like the Ohio Players, Isaac Hayes, James Brown and more. 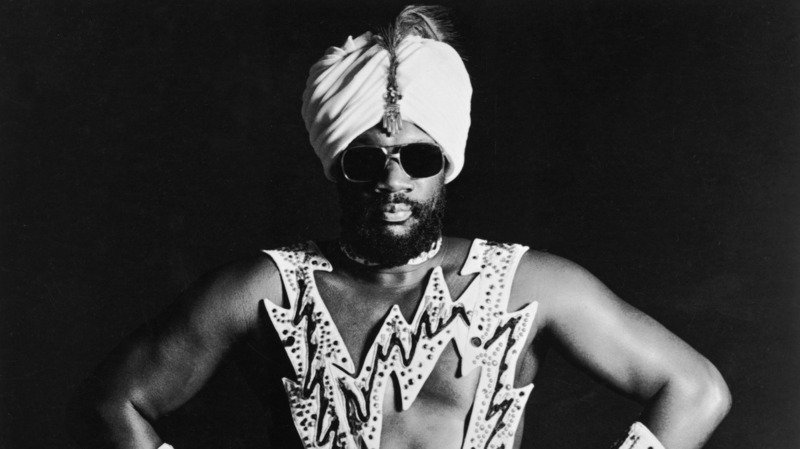 Isaac Hayes, seen here in a photo from the 1970s, is one of the funk pioneers honored in the Funk Music Hall of Fame. James Brown once said, "I've only got seventh grade education, but I have a doctorate in funk, and I like to put that to good use." While artists like Brown, George Clinton and Morris Day have schooled generations about funk for years, a brand new music hall commemorating the genre as a whole is preparing for its big ribbon-cutting ceremony. The Funk Music Hall of Fame and Exhibition Center, located in Dayton, Ohio, will officially open this spring. "Dayton is the funkiest place on Earth," David Webb, president and CEO of the Funk Hall, tells NPR. Webb was born and raised in Dayton, but it's not just his civic pride talking. In 1974, the Ohio Players had a Billboard No. 1 hit with "Fire," followed by another No. 1, "Love Rollercoaster," in '75. The success of the Ohio Players encouraged other Dayton kids to try their hands at making funk music. That led to a community filled with friendly competition and an explosion of hitmakers. "Dayton has so many groups out of here," Webb says. "Like Slave, Lakeside, Sun, Zapp, Roger, Dayton, Platypus. I could go on and on." When guests enter the hall, they are greeted by a large mural of famous funk faces — a painting the staff calls "Mount Funkmore." The mural features Isaac Hayes, James Brown, Prince and more. 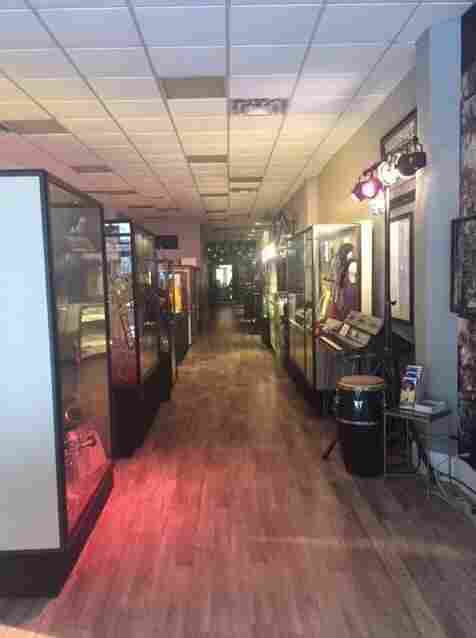 The hall itself is filled with outrageous, shiny band member outfits, memorabilia and vintage instruments like Roger Troutman's lit-up guitar. As Webb puts it, Dayton is the city that sparked "one nation under a groove." The city granted Webb permission to open the hall on Third Street late last year. "As the great Marshall Jones of the Ohio Players says, 'God stepped his foot in the Miami Valley, and the sweat off of God's feet, that's what made it funky,' " Webb says. The Funk Music Hall of Fame is open now by appointment only. The grand opening is scheduled for spring 2018. Click the audio link to hear the full Morning Edition story and enjoy a Spotify playlist of essential funk songs curated by David Webb below.